Can I claim my excess back on my credit card? Some credit cards offer to cover your excess if you hire a car and are liable for damage costs. If you are found liable for damage and asked to pay Car Next Door a Damage Cover Liability (DCL) amount, you must pay your DCL amount to Car Next Door, then contact your credit card provider to ask if you can claim it back through them. Is Car Next Door a "licenced car hire company"? Your credit card provider may require that you hire through a 'licenced' car hire company in order to claim your excess. There is no specific licence required to operate a car hire business in Australia, so it is not clear what this actually means. 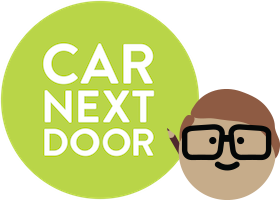 Car Next Door is a platform that allows you to hire cars from other individuals. We provide comprehensive insurance for your trips using a fleet insurance policy that is also used by car hire companies. You should check with your card provider whether this meets their requirements.